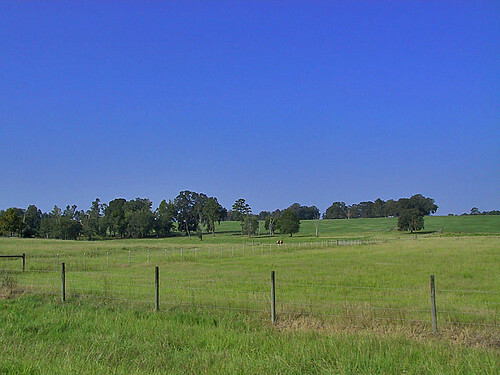 This was taken somewhere north of Providence, Fla., probably on CR 241 south of CR 240. Tubing with the Byrneses and Kinseys – 31 July 2007 – One of my best tubing trips ever (but is there such a thing as a bad day tubing?) when my out-of-town cousins came to town and we did the whole thing on a Tuesday, one of the slowest days of the week during Summer. 2nd Strays Ichetucknee Triathlon – 11 Aug 2007 – The most-crowded day I have ever seen there, probably because it’s one of the last weekends before school starts in most counties around here. I went with a group from my cycling club and we rode and picnicked before tubing. I have never before seen the river so crowded. When we were ready to tube at about 1 p.m., the mid-point shuttle had already closed for the day. 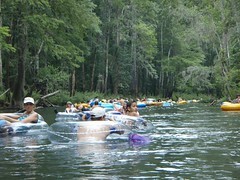 And when we exited the river, there was a tremendous queue to wait in for the parking lot shuttle. I think I got some cool people photos. I once again want to give a shout-out to Aquapac for their awesome waterproof case. It seems that every time I break it out in public lately, someone asks me about it and thinks it’s cool. 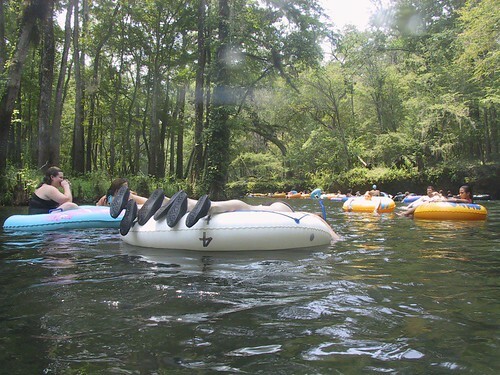 Related: Ichetucknee Springs tubing photos. Strays ride the Feagles – Yes, we did this ride six weeks ago, but this day we rode it in the opposite direction. A resident on the route who must be accustomed to bike tours going by even told us we were going the wrong way. Night ride on the G-H Trail – We had permission for a night ride on the Gainesville-Hawthorne Rail Trail under the nearly full moon. The mosquitoes were a lot more numerous than I thought they would be given the temperature. Las Vegas – SPJ Convention – I went to Las Vegas in October to work for the Society of Professional Journalists producing webcasts of selected sessions from the convention. I didn’t have a whole lot of time to run around taking pictures and the weather didn’t cooperate during the latter part of the trip, but I came home with some good shots. Horse Farm Hundred – October 2. I drove a support vehicle that day, but I also stopped and occasionally took pictures. Strays ride the Feagles – October 8. The Strays group met up south of Lake City and rode some very scenic roads roughly in between there and High Springs. Strays ride from Hawthorne – October 29. The ride I try to lead at least several times a year out in my neck of the woods. It was a good bike ride and picnic for the Gainesville Cycling Club today, here are the photos. I rode 33 miles with the Strays, my usual group. The last part of the ride was aided by a nice tailwind courtesy of tropical weather in the Atlantic off South Florida. My banana pudding disappeared very rapidly.